You may have heard about ‘hosted voice’ telephony services – systems that are feature-packed – bringing your telephone systems into the 21st century. 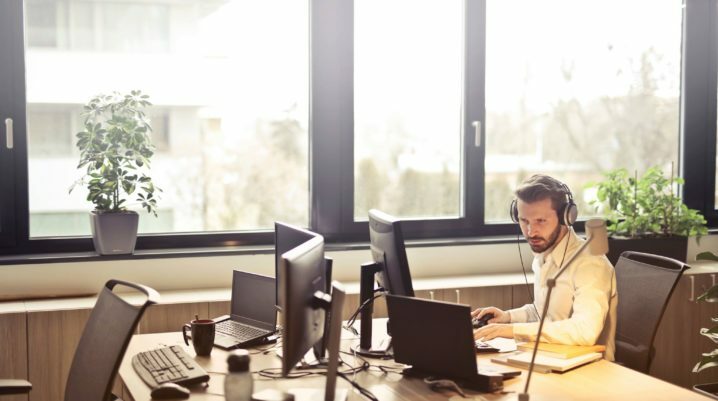 In reality, hosted voice services are a world apart from traditional copper-line based technologies – relying on your IT infrastructure, rather than the dedicated cables and exchanges needed that make yesterday’s services work. What could this cloud-based approach to business telephones offer you? What do hosted services offer that traditional phone networks don’t? And, importantly, how much does this next generation of telecoms cost? If your first thought relating to maintaining, expanding, or fixing telephone systems was one that involved the disruption of having an engineer on your site, you’re not alone. Maintaining copper-based technologies has always been something that’s required a physical pair of hands on the hardware – but hosted voices services change this. Rather than relying on their own cabling – hosted voice solutions are delivered through your internet circuit and existing IT infrastructure – meaning management will be done through a portal, accessed anywhere you can jump online. As a result, setting up a hosted service sees a significantly reduced amount of on-site work compared to the installation of a traditional system. While this is a short-term benefit – on-going maintenance works can also be done remotely – as can the work needed to scale up your operation, adding users, adding sites, adjusting routing – and much, much more. IT security is a hot-button issue for 2019. A series of successful large-scale cyber-attacks on organisations who have often seemed untouchable have grabbed the headlines – but, despite this media attention, it’s not the big players that are most vulnerable when it comes to malicious hacking. In reality, it’s small and medium sized businesses that suffer the most in relation to cyber-crime. These are the companies who consider themselves to be ‘not worth the effort’ when it comes to online crime – but actually, it’s that kind of complacency that puts them in the crosshairs of fraudsters. The very best way to remedy this issue is to put your IT and telephone systems in the hands of a managed network provider who specialise in delivering secure IT networking and telephony solutions. When you consider that downtime is estimated to cost small businesses in excess of £10,000 per day, it’s often an enormous relief when you put the systems that form the backbone of your business into the hands of specialists who commit to keeping everything 100% safe.